/ How do I modify or update my Gmail email filters? I have set up a variety of Gmail filters to help manage my email and now I need to change a few of them. How do I update Gmail filters? The process of creating Gmail email filters and updating them is quite different because I think that the Gmail team figures most people will be creating lots of filters but never changing them! If you don’t have any filters yet, oh, you’re missing out too; they’re one of the best things ever for email and I’m a huge fan. 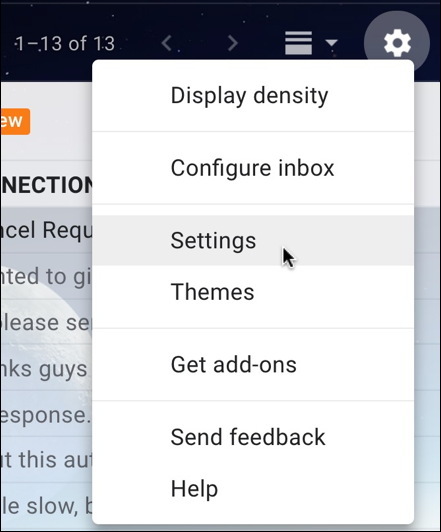 Learn how to set ’em up here: How to create Gmail email filters. It’s not uncommon to need these updated, though, muchly because the Internet definitely doesn’t just stay in stasis. Whether it’s companies being acquired by others, services being updated or changed or just friends – or frenemies! – changing email addresses, email filters are terrific, but being able to update them is pretty critical. Did you know you could block email addresses entirely in Gmail? Helpful if you have a stalker or crazy ex. Learn more here: how to block email addresses in Gmail. In this instance, the rule’s easy: email that is from boulderlibrary.org. You might well have far more complicated rules established. 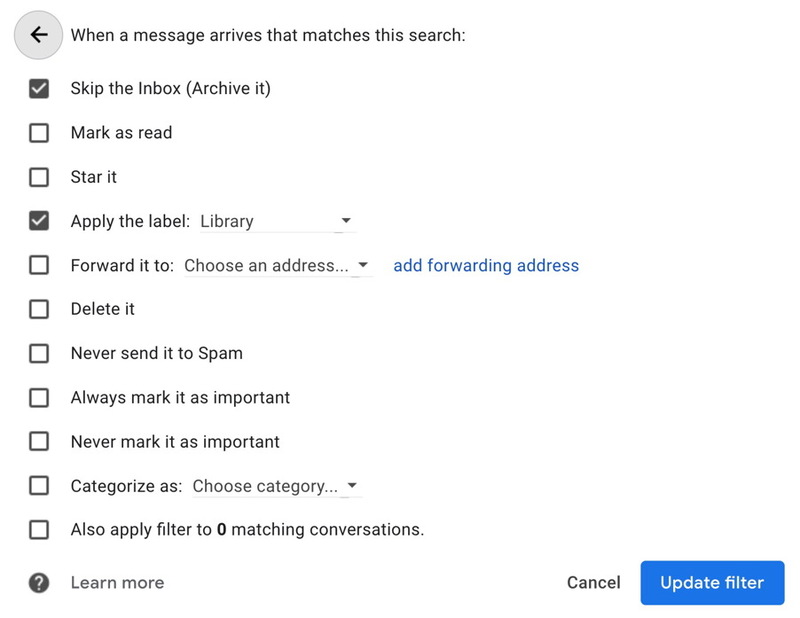 This is also where you’ll want to make the changes to your Gmail filters too, whether it’s updating the from, the to, checking keywords or a subject pattern (and remember email lists with fixed subject prefixes are perfectly valid to target!). Make the changes you want and test them if you’d prefer by clicking on “Search” or, if you’re sure it’s all good, click on “Continue” to proceed. Lots and lots of options. Probably you’ll keep these as-is but if you want to change things, it’s easy to do that too, as you can see. Done and happy with all your modifications? Click on “Update filter” and you just updated your Gmail filter! Woot! Pro Tip: I’ve written quite a bit about Gmail over the years. Please do check out my Gmail help area for lots more tutorials!